Downey Daily Photos: "America the Beautiful"
I can't help but think of these lyrics whenever I travel up and down the coast of California. I was among the "fruited plain" at this point, with a wine glass in my hand toasting to (and tasting) that year's good harvest. 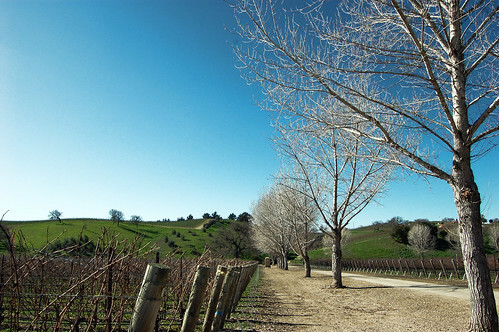 The Santa Ynez wineries (Santa Barbara area) are a great way to spend the day, tasting and wandering and catching some sun. 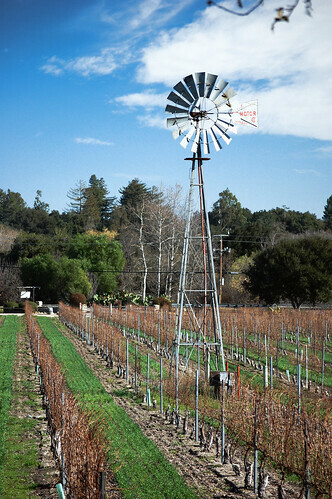 There are official tastings at the actual vineyards and then you can go into the little town and have lunch at any of the mom and pop shops. There are touristy shops everywhere for little knickknacks or flowers. All in all, I wish it were closer so I could visit more often instead of devoting half the time to driving. The hilly countryside reminds me of the landscapes of Grant Wood. I love the way he paints hills.